This year I wanted to start doing more vocal work, so I needed to upgrade my current audio interface. I was lucky enough to have had an Apollo UAD in my studio for a few years as I was looking after it for a friend who was overseas at the time. Unfortunately I had to give it back and I had to revert to my old Creative EMU audio interface. The problem with the EMU audio interface is that it is not supported on OSX anymore and I had to find drivers elsewhere. Playback was perfect, but recording was an issue. So the hunt for a new budget-friendly audio interface began. As most of us do, I was looking for the best bang for my buck. A few audio interfaces caught my attention, including the PreSonus, Behringer and Scarlett series. After doing some research online it seems that nowadays most budget audio interfaces are all capable of delivering great sound quality when used properly. Of course the very high-end audio interfaces will sound different, but I’m not sure it would be a deal breaker for me, especially if I am just recording vocals now and then and not tracking a full band or recording Adele. 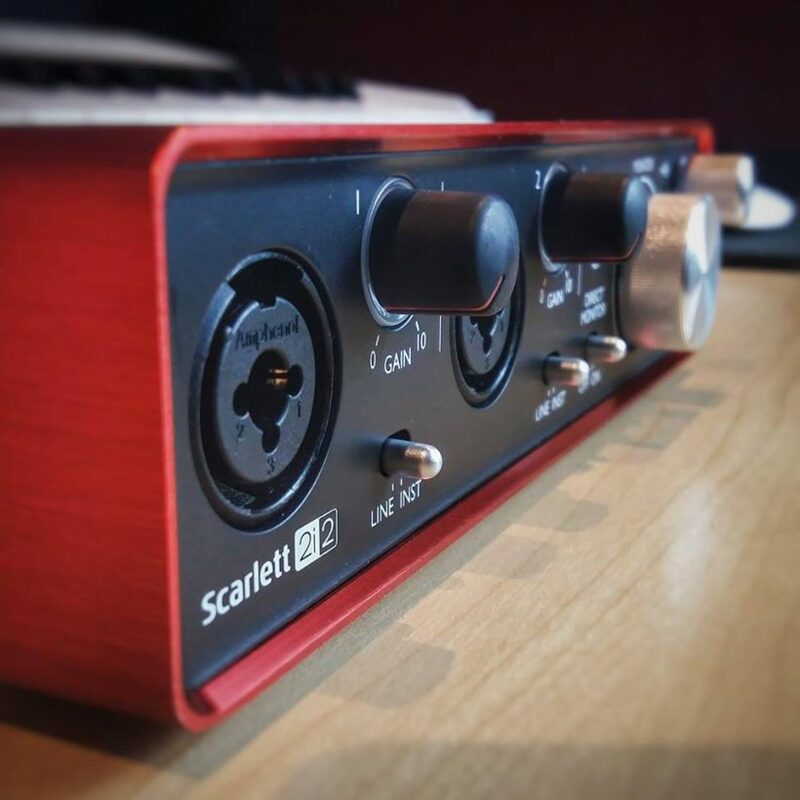 For me the deciding factor for going with the Scarlett series was that it is so popular in home and on-the-go studios, which is always a good sign of quality and durability. I was originally just going to get the Scarlett solo as I was just intending to use it for single recordings, but the reason I went with the 2i2 instead of the solo was that the 2i2 has a ¼” TRS jack sockets for connecting your monitors instead of RCA. Which audio interface are you using and are you planing on upgrading your current audio setup ? Focusrite Forte, planning to go for a UAD interface in the near future. Any UAD user here that can elaborate on the latest models UAD has to offer? I hear their new single core Arrow interface is lacking performance compared to the Apollo series. If i am upgrading from the Forte to UAD the performance is a key thing. The Forte is still doing its job perfectly, sadly enough focusrite support is ending soon, hence the question above.